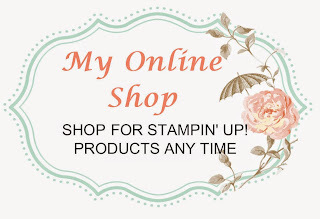 I just wanted to let you know about an INCREDIBLE promotion that Stampin' Up! have started today. Bonus Days ! Stampin’ Up! has never done anything like this before. For every $90 you spend per order, in JULY, you will get a $9 coupon to spend in August. Spend $90 -get one coupon. Spend $180 in the one order - get two coupons. There is no limit to the amount of coupons you can earn. So if you have a wish list that you want to make a dent in, then July is the perfect time to make that happen. Just click on the image below to start shopping.